Even larger than the First Treasury! Barbara returns with hundreds more exciting and inspirational patterns, clearly organized in useful categories such as: Edgings, Lace, Cables, Twist-stitch, Color patterns, texture patterns and many more. She has even included a section on ‘Adapting Patterns for Circular Knitting.' In her introduction she writes, “Some of the patterns in the this book are contemporary originals…Other patterns are traditional…I have resurrected these from old, forgotten books and translated them into modern terminology…Still other patterns have come from other areas of the world…Like music, knitting truly is a universal language.” Her books are Treasuries, indeed. Softcover. 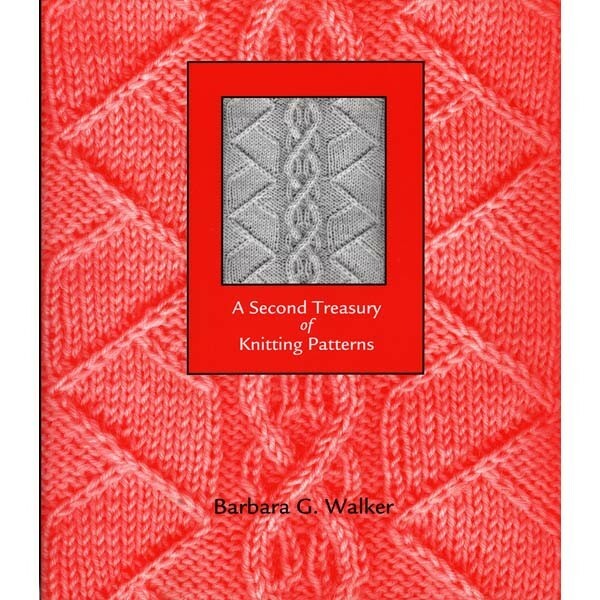 A First Treasury of Knitting Patterns may also be purchased as part of the Treasury Set with a 10% discount on all four titles.